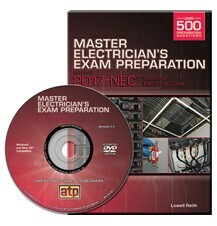 Master Electrician's Exam Workbook Based on the 2017 NEC® is designed for electricians preparing to pass local electrical licensing exams. 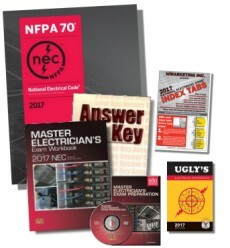 References to NEC articles and tables help the learner become efficient in locating code information in the NEC, which is essential to passing exams. 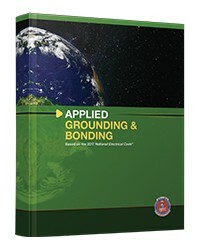 This comprehensive workbook covers information ranging from basic electrical theory to complex load calculations. 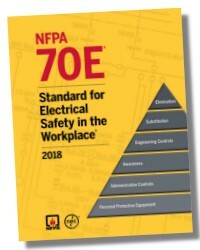 It is a useful training tool for both the electrician-in-training and the experienced journeyman. Based on the 2017 NEC. 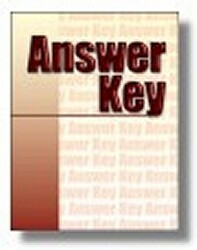 Step-by-step examples are used to break down complex calculations. Frequently referenced articles and tables in the NEC® help the learner become efficient when looking up code information. 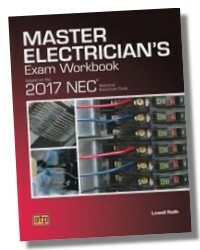 Included in the Master Electrician’s Exam Workbook are four sample Licensing Exams that contain questions based on Trade Knowledge, Electrical Calculations, and Topics from the 2017 NEC. 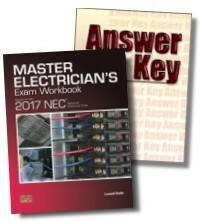 The Answer Key (optional) contains answers and NEC® references for all test questions and problems.